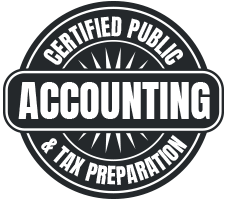 Small Business Accounting In Jacksonville - Call Us Today | George A. Spencer, CPA, P.A. You opened your small business in Jacksonville with the dream of being your own boss, providing a needed service to your local community, and building something that you and your family could be proud of. The entrepreneurial spirit that small business owners in our great state possess is matched only by the challenges that they face in managing and balancing the financial and legal aspects of their business. Here at George A. Spencer, CPA, we are committed to providing the small business accounting services that our fellow small businessmen and women need to ensure that they can keep their commitments to their employees and their families while continuing to grow. We have over two decades of small business accounting and legal experience, so you can be confident in your decision when you choose our experienced team of accountants to work for you. Small business accounting is our specialty, and we know that every small business has different needs. That’s why we offer a wide range of professional accounting services to meet your individual needs as a small business owner in the Jacksonville area. We would love to learn more about your small business or non-profit’s accounting and legal needs. Schedule a free consultation today to learn more about how George A. Spencer can help. No matter what services or products you offer, or how small or large of a volume you do each month, your business needs quality bookkeeping. The daily, weekly, and monthly management of your business transactions not only ensures that you are prepared and accurate when it comes to paying your taxes, but it is also the crucial information that allows you to make the right decisions for growing a healthy business. George A. Spencer, CPA, provides accounting services for documenting and balancing your business transactions including accounts payable and receivable so you can focus on what matters most — running your business. There is nothing more important for a small business than knowing exactly where it stands financially. George A. Spencer accountants can give you the information and peace of mind that you need to make the best choices for your small business. 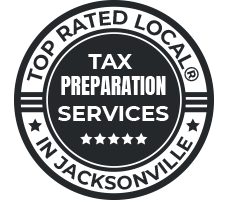 Much like good bookkeeping, every Jacksonville business owner needs to make sure they are properly managing their municipal, county, and state sales taxes to avoid risks and penalties. Our sales tax services are one of the most important small business accounting services that we offer. Our accounting professionals stay up to date on the tax codes and changes at all levels of jurisdiction to make sure that you won’t ever find yourself in an unforeseen tax predicament. We also offer tax preparation services to help with the daunting task of making sure your annual business taxes are optimized, accurate, and on time. In addition to our expert bookkeeping and sales tax services, we also provide a wide range of Quickbooks support including setup, training, consulting, and custom reporting. Quickbooks is one of the most widely used small business accounting tools and our accounting experts can help you become proficient in utilizing it to the maximum extent for managing your business finances. Another important small business accounting service that we regularly provide is accounting audits. Many small business owners in Jacksonville have spent months, if not years, managing their own business finances and accounting. They turn to the professional accountants when numbers don’t make sense, or they begin to worry that they may have made some mistakes. Getting off track when managing your businesses accounting is easy. That’s why using a Certified Public Accountant, or CPA, to perform an accounting audit for your business is so important. By performing a deep dive into your business’ financial records and physical assets, we can give you an accurate understanding of the fairness of your financial statements and accounting. Knowing where you actually stand financially is a keystone of running a successful business. If you aren’t 100 percent confident in the accounting that has been done for your business, either by you, a member of your team or a professional, contact George A. Spencer for an audit or review and find out where things really stand. If your Jacksonville small business has employees, you have to manage payroll on top of all of your other responsibilities. The more employees you have and the more benefits you offer them, the more complicated this task becomes. 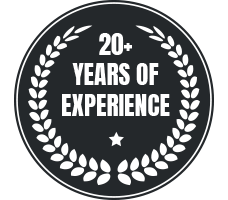 In the 20 plus years that we have been providing small business accounting and legal services to local business owners, we have helped countless entrepreneurs, non-profits, and small businesses manage their payroll. If you’d like to learn more about how an experienced accounting team can help your organization with payroll services, schedule a free consultation. No likes dealing with tax season and the IRS. But as a small business owner, you are under much more scrutiny than the average person when it comes to your taxes. You also have a much larger challenge when it comes to documentation, accuracy, and the likelihood of audits. At George A. Spencer, we know that managing a resolution with the IRS is not only stressful but that it also consumes time and energy that you need to be giving to the day to day running of your business. Whether you improperly filed, missed your file deadline, or are facing an audit, George A. Spencer can provide the expert accounting knowledge and legal guidance that you need to successfully navigate every step of your resolution process. George A. Spencer isn’t just an experienced CPA, he also holds a Juris Doctorate law degree and is admitted to the Florida bar. Small business owners face a plethora of risks ranging from poorly written employee handbooks and policies to wrongful termination suits to sexual harassment claims. Trying to handle these problems on your own isn’t only difficult, it’s dangerous. If your small business needs legal guidance, we can provide the services you need to protect your employees, your business, and you from missteps throughout the proceedings. 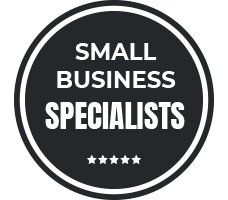 To inquire about any of our small business accounting services or to learn more about how we can help your small business or non-profit organization, contact our team today for a free consultation.